An epic portrait of a large Irish family haunted by the past, tracing the lines of betrayal and redemption through three generations. In a word: heavy. Or so you might think. But in this mystery of past causes, the transformative power of Enright’s language keeps the story’s freight from burdening the reader. Veronica’s reminiscences have an incantatory power that makes them not depressing but enthralling … Enright hides her painterly brushstrokes. The Gathering still casts fiction’s spell, but its detours from reality are surreal, not unreal: nothing happens that could not happen, that has not happened, to somebody. Bringing together the skills she has honed along the way, Enright carries off her illusions without props or dei ex machina, bravely engaging with the carnival horrors of everyday life. 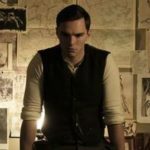 As Veronica struggles to understand her brother’s suicide, she tells herself that she owes it to Liam to acknowledge his past, their past, without flinching. 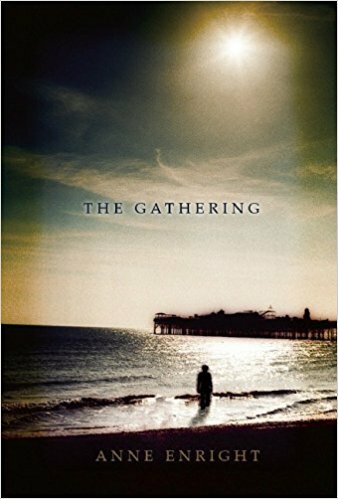 The Gathering is a novel about memory: who did what to whom, who remembers the facts clearly and who doesn't. (Hardly anyone does, even the narrator.) Enright explores the tragedy of a brother's suicide by sorting through events that occurred, or did not, in a terraced house in the north Dublin suburb of Broadstone 'round about 1968. Or maybe it was in the garage; memory, Enright signals, is a painful, tricky thing … Everything that happens and does not happen here feels painfully and awkwardly true, even the notes of redemption. Enright seems to know the bone structure of the Irish family during its turbulent silence of the 1960s and '70s, when elders were still treated with fearful deference and children were less important than they are now, perhaps because there were so many of them and the houses were so tiny. While, in the opening chapters, Veronica informs her siblings of Liam’s death, then travels from Dublin to Brighton to recover her brother’s corpse, she also gives us snippets of information, rapid caricatures, sharp memories of the family home and family habits. This is efficiently done and the evocation of an overcrowded space full of busy life is one of the book’s achievements … When, on the other hand, she slides into melodrama and literary formula, The Gathering does indeed sound like at least nine other writers and by no means the best. As my response to the novel swung back and forth from admiration to irritation, it was hard not to wish that Enright had concentrated on the complex and chaotic Hegartys and given us rather less of the lurid, convenient, and suspiciously topical Lamb Nugent.